Filing a private complaint, RTI activist Ramamurthy Gowda alleged that in 2015 a criminal conspiracy was hatched by Mr Siddaramaiah, a senior government official and other accused persons. 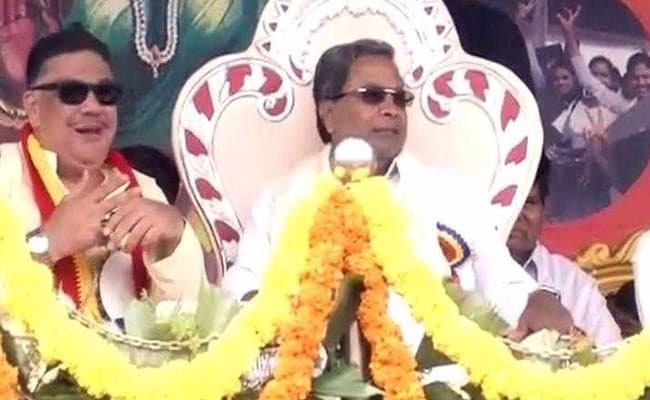 Bengaluru: A complaint accusing Karnataka Chief Minister Siddaramaiah of favouring some mining firms was filed in a CBI Special Court in Bengaluru today. "In furtherance of the conspiracy, the official (Siddaramaiah) being a public servant, had wilfully by dishonest intention recommended approval of renewal of mining lease," Mr Gowda alleged. Mr Gowda submitted that the chief minister had abused his official position as a public servant by corrupt or illegal means without any public interest and dishonestly approved the renewal of mining lease or mining licence to the other accused persons. Later speaking to reporters, Mr Gowda said he had lodged complaints with the Lokayukta and Anti-Corruption Bureau in connection with the 'irregularities' in the mining business. "The two agencies closed the cases without issuing even a notice to the accused persons. Finally, I approached the CBI special court and filed a private complaint. I have faith that I will get justice here."